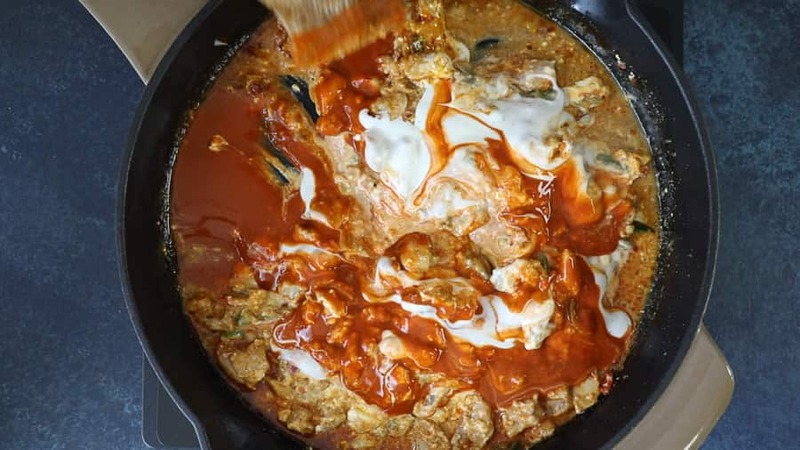 A classic Buffalo chicken dip recipe made with three cheeses, tender simmered chicken, Buffalo sauce, plenty of spices and three types of spicy chili peppers. 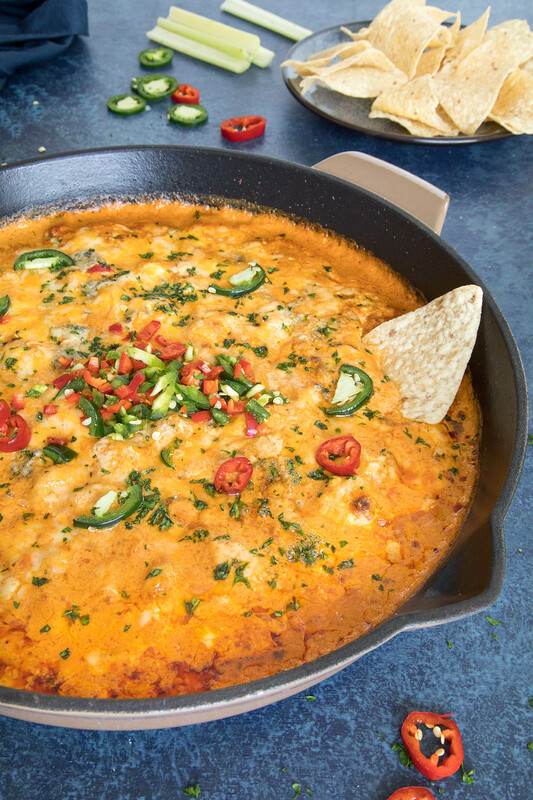 This is the best buffalo chicken dip I have EVER tasted. Back to the basics, my friends! 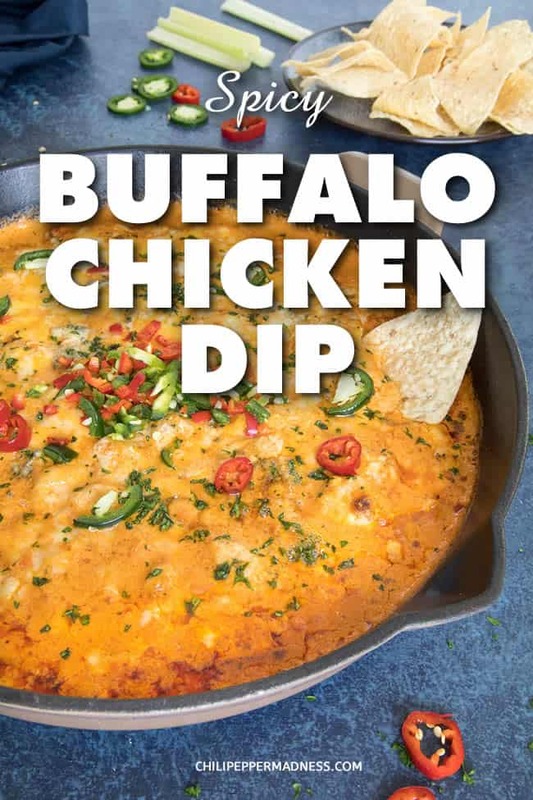 Buffalo Chicken Dip is the ultimate party food, and you’re probably thinking about what you should bring to the next party, right? We are. Always. 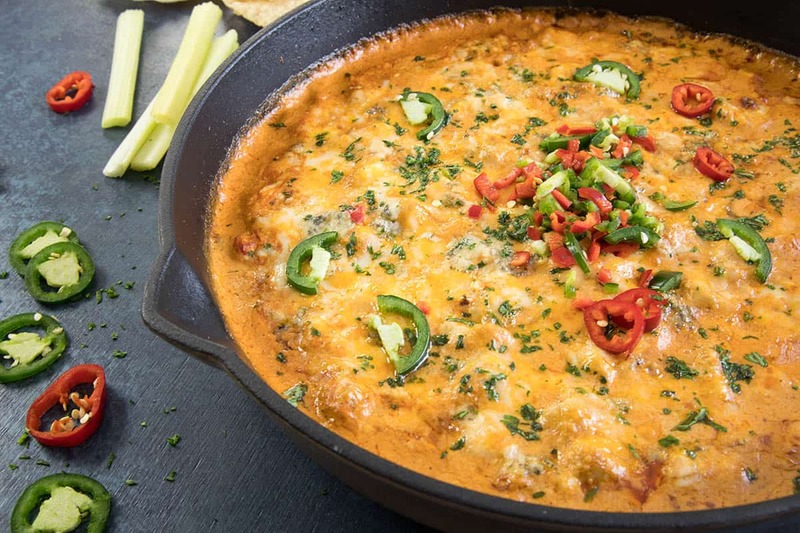 If you need ideas, check out our Game Day section, but make sure you include this classic dip recipe – Buffalo Chicken Dip. 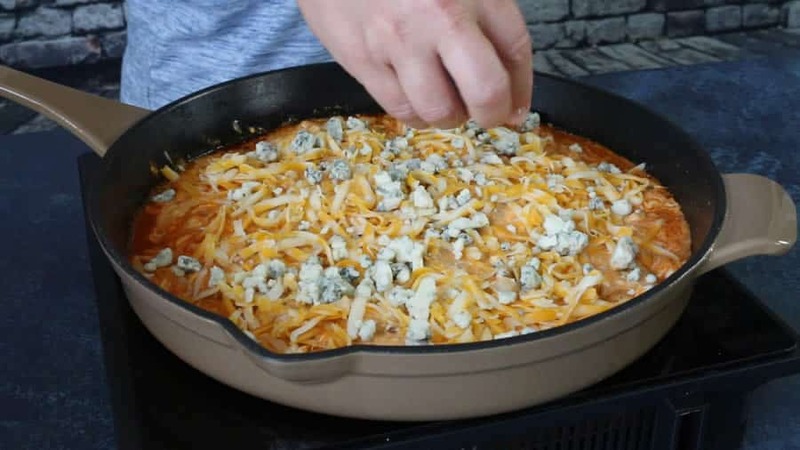 Buffalo Chicken Dip is one of the most popular dips around. I’ve been to parties where more than one person brought their version of this dip, unbeknownst to the other, and all of it went! Just be sure to bring enough chips. I’ve made that grievous error once, arriving at the party with a mongo batch of dip and not nearly enough chips. 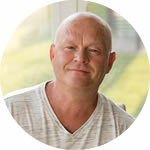 I nearly died that day at the hands of hungry party-goers. This recipe is pretty darned easy. My version includes some gorgeous chili peppers. 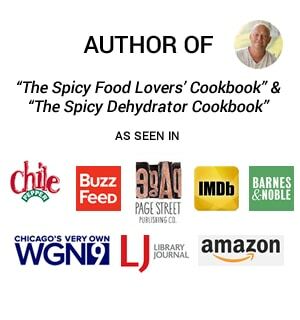 Most dips are incomplete without jalapeno peppers, in my humble opinion, though I’ve also included a wonderful red Fresno pepper and a spicy habanero pepper. Heat a large oven-proof pan to medium heat and add the olive oil. Add the peppers and cook them down about 5 minutes. Add the chicken, garlic powder, taco seasonings and chili flakes. Stir and cook the chicken until it is mostly cooked through, about 5 minutes. Pour in the beer or chicken broth and let steam. Reduce heat and cover. Let it simmer about 20-30 minutes, or until the chicken is tender and cooked through. I like the flavor of the beer, but broth is good, too. Stir in the cream cheese, blue cheese dressing, and Buffalo sauce. Make sure everything is nicely incorporated. I used my own Homemade Buffalo Sauce Recipe for this one. Sprinkle on the cheddar cheese and blue cheese evenly over the top, like so. Bake the whole thing for 20-25 minutes at 350 degrees F, or until it is nice and bubbly. Serve with chips or your favorite munchie! 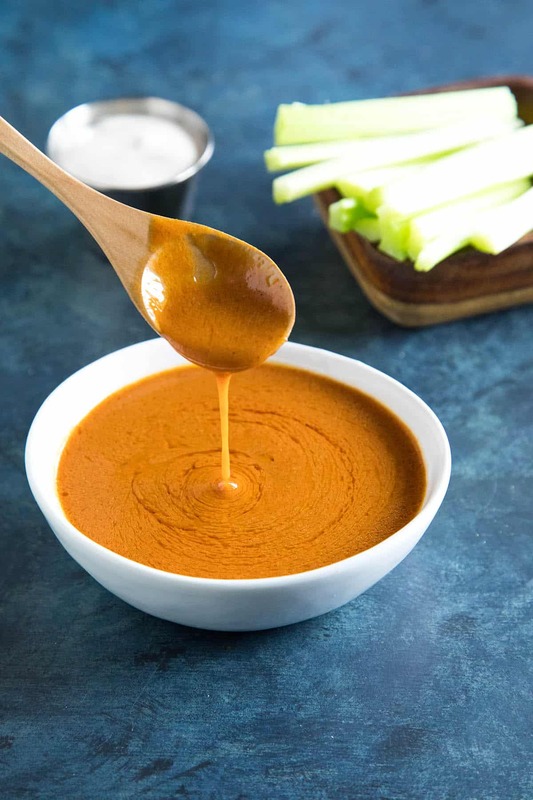 You can use any store bought Buffalo Sauce brand that you prefer, but I love to make my own Homemade Buffalo Sauce Recipe, which always works out great. It is buttery and tangy and nails the flavors, so give it a try. Get the Homemade Buffalo Sauce Recipe here. If you’re looking to make this even quicker, toss in any cooked chicken. It is super fast if you have leftovers. 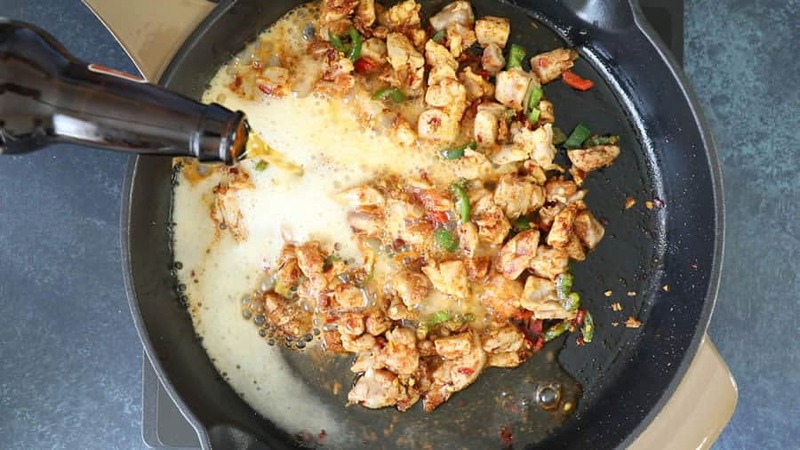 I find preparing my chicken per the recipe below gives an additional flavor element to the final dish, but honestly, it is great without over treating the chicken. I just like to do so. 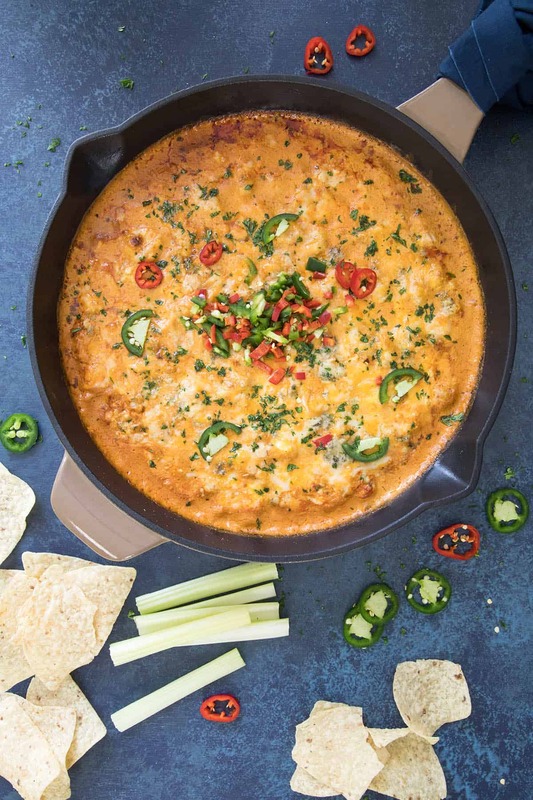 This dip is cheesy and tangy and pretty much everything you want in a dip. You’re partying friends will love you for bring this. ½ cup Buffalo sauce or more! Heat a large pan to medium heat and add the olive oil. Add the peppers and cook them down about 5 minutes. Pour in the beer or chicken broth and let steam. Reduce heat and cover. Let it simmer about 20-30 minutes, or until the chicken is tender and cooked through. I like the flavor of the beer, but broth is good, too. Sprinkle on the cheddar cheese and blue cheese and bake 20-25 minutes at 350 degrees, or until it is nice and bubbly. Serve with chips or your favorite munchie! This makes a pretty large batch. You can save some, or make a few different smaller bowls and distribute them throughout your party. Enjoy! Heat Factor: Medium-Hot. 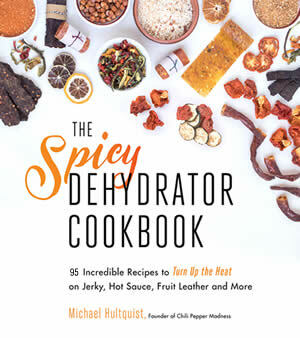 You'll get some pretty good heat from the habanero pepper. 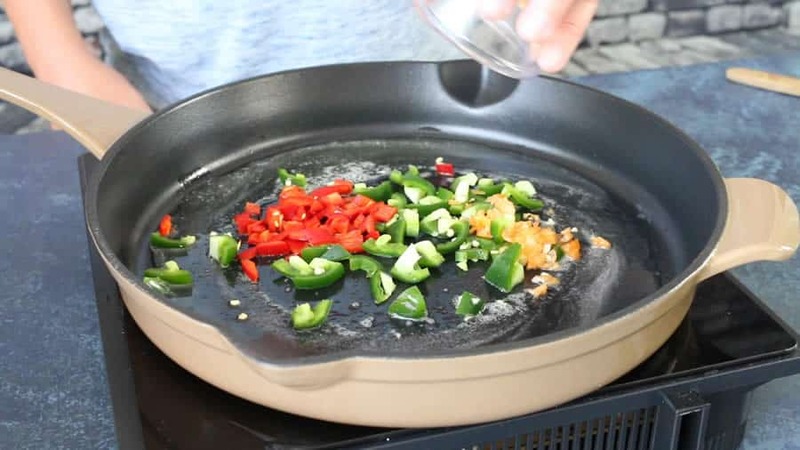 You can easily reduce the heat by omitting it and focusing on the jalapeno-Fresno pepper heat combination. If you're looking for spicier, add in another habanero and extra chili flakes. 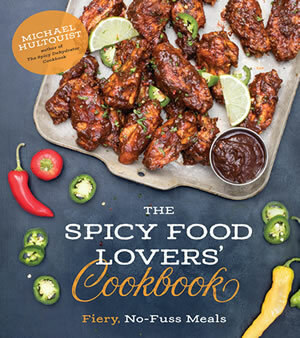 Try this Homemade Buffalo Sauce Recipe. This recipe was updated on 7/2/18 to include new photos and a video. Originally published on 8/31/2015.